Seriously, how cute are these little squash?!?!!? This was another new veggie to use. 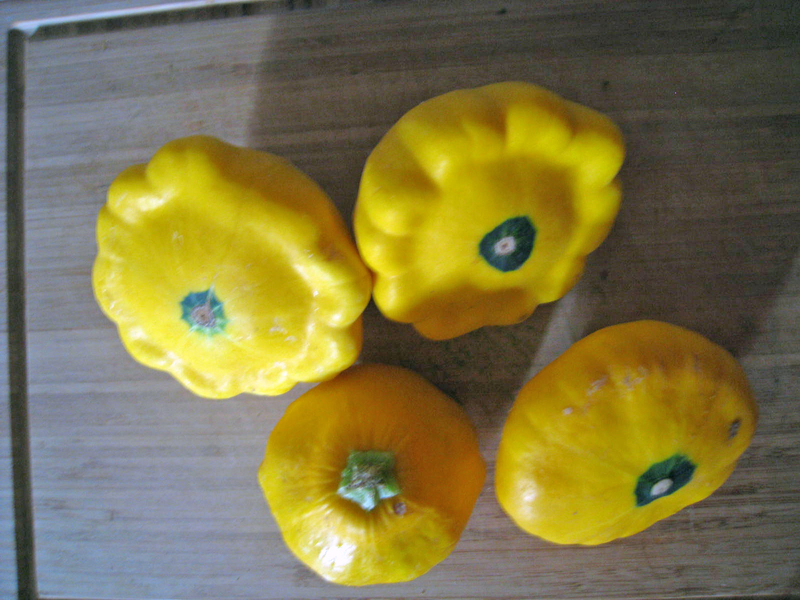 We’ve had zucchini and yellow squash before, but never patty (or paddy) pan squash. I was excited to try them. 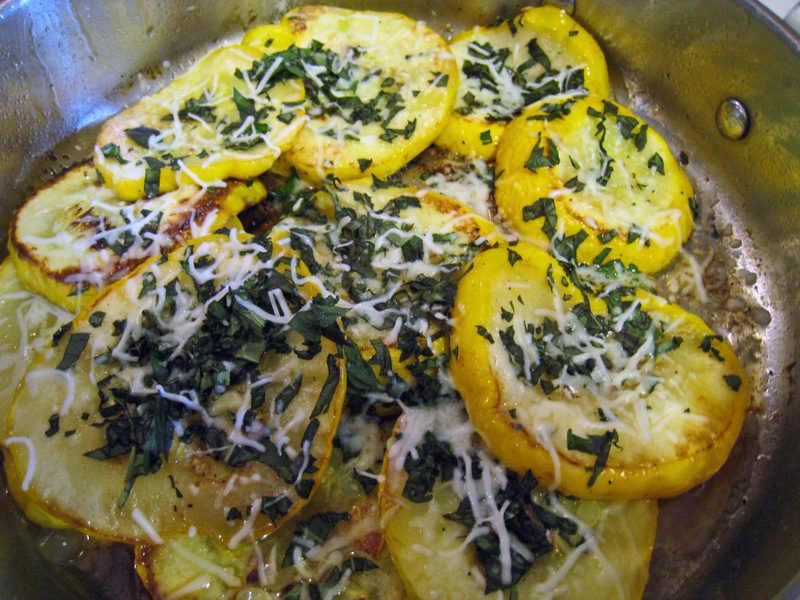 This squash is creamy and has a sweeter flavor than yellow squash or zucchini. We all were big fans of it and I can’t wait to eat more of it! Patty pan squash and yellow squash have an amazing amount of nutrients – they’re full of vitamin C and beta-carotene, just to name a few. Slice the squash lengthwise, removing the stem. Season both sides with salt and pepper. In a large skillet, melt the butter over medium heat. Add the squash and brown both sides until it’s tender. Sprinkle on the basil and cheese and let melt.